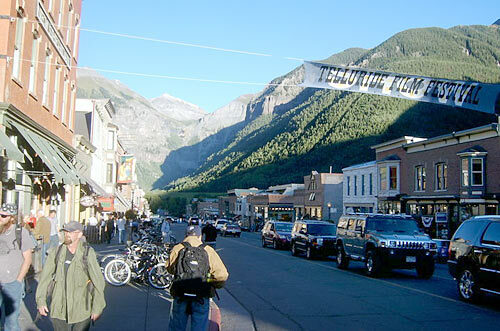 The Telluride Film Festival draws a few thousand cinephiles from across the US who make the annual pilgrimage to this ski town in Colorado with the hope of catching the best films of the year, along with listening to unique conversations with filmmakers as well as the stars. Telluride is held a week before the Toronto International Film Festival (scheduled to start on September 6), and thus it is here that the buzz about the Oscar frontrunners first starts. Telluride audiences were the first in North America to see Oscar winning films like The Artist, The King's Speech and Slumdog Millionaire. As expected, this year's festival was full of surprises and many of the films are going to continue to build up the buzz as we approach the awards season. Here then is my list of the top 10 films from the festival, in alphabetic order. I have not included two important 2012 films in the list, since I saw them before they were shown in Telluride -- Christian Petzoid's Barbara (Silver Bear winner for best director at the Berlin Film Festival and Germany's official entry for the foreign language Oscar race) and Michael Heneke's Amour (Palme d'Or winner at this year's Cannes Film Festival) are must see films. Also not included in the list is Ben Affleck's gripping thriller, Argo, about a complex and hilarious plot to rescue six American Embassy employees who took refuge in the Canadian Ambassador's residence in Tehran in 1979, while the world was focused on the American hostages inside the US mission. While Argo is a well made film, I was offended by its politics -- the way it portrays Iranians as scary evil villains. In director Zaid Doueiri's Lebanese-French production, a successful Arab-Israeli doctor faces the challenge of a lifetime, when a woman suicide bomber blows herself in a restaurant, killing several people, including young children. As the doctor gets drawn into investigating the motives of the bomber, he has to come to terms with his own identity. He is an Arab, but not welcomed in Palestinian territories. And although he lives in Israel, he will never have the full privileges of that society since he is not Jewish. A profoundly moving film, The Attack - much like the 2005 film Paradise Now -- gives a rare human face to the seemingly unending Arab-Israeli conflict. Michael Winterbottom is perhaps the most prolific filmmaker in the world and his works have focused on diverse themes -- three versions of Thomas Hardy's novels (including the recent Trishna), the impact of the war on terror in Pakistan and Afghanistan (A Mighty Heart, Road to Guantanamo and In This World) and the lives of ordinary British citizens. 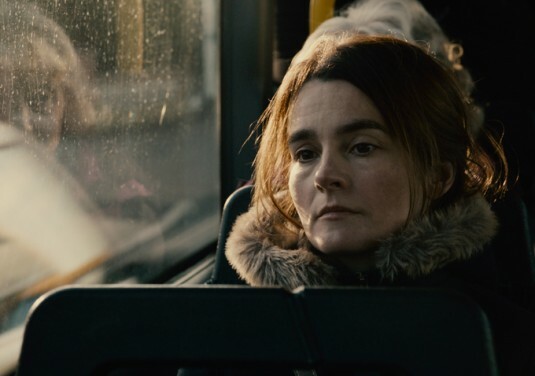 In Everyday, his 20th feature film in 15 years, Winterbottom explores the daily life of a British woman, mother of four children (who are real life siblings) who makes weekly visits to a prison to see her husband, serving a five-year jail term. Winterbottom shot the film over five years on two-week stints, making the camera observe the children grow up, while their screen mother deals with loneliness and the hardships of being a single parent. Everyday is so real and sometimes tough to watch that one wishes for a Hollywood type fantasy to ease the life of our protagonists. But Winterbottom never takes the easy way out. Israeli documentary filmmaker Dror Moreh has made a rare film that is shocking and provocative. 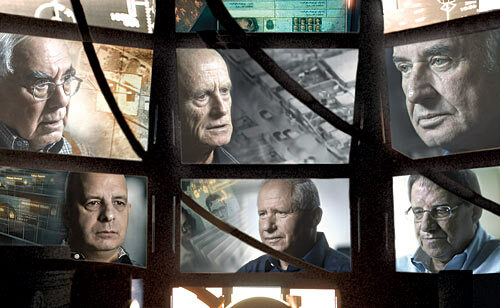 Moreh managed to interview six former directors of the Israeli secret service, Shin Bet, and using historic footage and images, he reveals the complexities of Israel as a state and its volatile relationship with the occupied Palestinians. The former directors speak openly about the tactics they used to control the Palestinians and curb the activities of their leaders. But they also acknowledge that failed policies of the various Israeli governments, headed by the liberal Labour and the right-wing Likud parties, resulted in Palestinian uprisings, and strengthened the resolve of the terrorist outfits against the state of Israel. The Gatekeepers is an unexpected companion piece to The Attack. The buzz was very strong for these two must-see films at Telluride, resulting in long lines and sold-out screenings. This year, the Telluride festival honoured the handsome and very talented Danish actor Mads Mikkelsen (Casino Royale, Pusher, After the Wedding) for his career first in Denmark and now also in Hollywood. Along the tribute the festival screened Mikkelsen's new film The Hunt, directed by Thomas Vinterberg (The Celebration). In the harrowing The Hunt, Mikkelsen plays a kindergarten teacher, who is accused of child molestation. He is a divorced man, and a father of a teenager. The accusation, first by one of his kindergarten students, reverberates into mass-scale witch-hunt led by his neighbours, once close friends and colleagues. 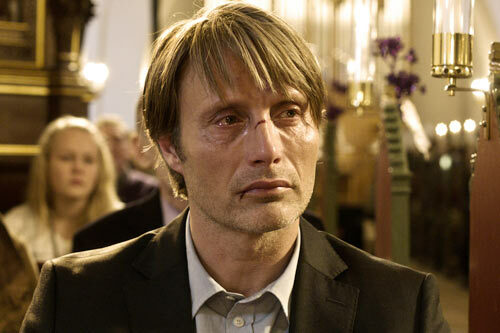 The Hunt is a devastatingly disturbing film, and Mikkelsen -- winner of the best actor award at this year's Cannes Film Festival, gives a mature, nuanced performance. If the HBO hit series The Sopranos was to be made into a two-hour feature film, it could resemble director Ariel Vroman's The Iceman -- the true story of the rise and fall of a contract killer from New Jersey and often working in New York City. Michael Shannon is creepy and very effective in the role of Richard Kuklinski who is hired by a mafia boss (Ray Liotta) to carryout specific killing assignments. The terrific violent film's cast also includes the beautiful Winona Ryder as Kuklinski's clueless wife, David Schwimmer as a side-kick killer and an excellent James Franco in a brief appearance. The Iceman has been referred to as the most realistic American gangster film since Martin Scorsese's made Goodfellas and that is a right description. 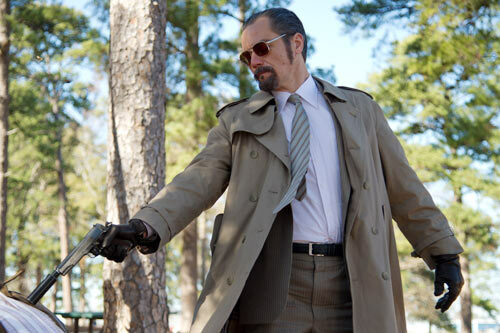 The Iceman is brutal, bloody, but like The Sopranos and Goodfellas it is also thoroughly entertaining. Salman Rushdie's seminal novel and winner of the Booker Prize in 1981 has finally been adapted into a film by Canadian-Indian filmmaker Deepa Mehta. The collaboration of the two creative minds included Rushdie writing the screenplay for the film. Mehta also used Rushdie as a narrator in the film, which gives the audience a chance to hear the author's magical words in his own voice. With a huge cast of actors (Seema Biswas, Shahana Goswami (in the picture), Satya Bhabha, Rajat Kapoor, Shabana Azmi, Soha Ali Khan, Samrat Chakrabarti, Sarita Choudhury), Mehta narrates a sumptuous tale of an unlikely hero and midnight's child Saleem Sinai -- his history and his life mirror image the highs and lows of the three young nations of India, Pakistan and Bangladesh. Midnight's Children is a visual treat and a wonderful homage to one of the best novels of our lifetime. Chilean director Pablo Larrain's top award winner in the Directors' Fortnight section at this year's Cannes Film Festival is set in 1988, when Chile was given a chance to vote for or against the military dictatorship of General Augusto Pinochet. 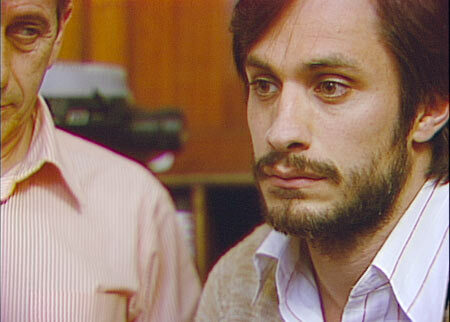 The charismatic Mexican actor Gael Garcia Bernal plays the role of an advertising executive who is hired by a left-wing group to develop a campaign for a "No" vote victory against Pinochet. Much to the surprise of his employers, Bernal creates television commercials that use the same zest and energy as in his work selling carbonated beverages. Shot like a home video using the 1980s technology, No is an effective thriller in the territory of Costa Gavras' masterpiece Z (recently revisited by Dibakar Banerjee in the form Shanghai). Bernal gives a terrific performance as the single father, and a talented ad man, whose personal life is threatened -- supposedly by the right-wing forces, as he takes on dangerous challenge of defeating one of the worst dictators of the 20th century. Fans of French cinema and recent works of filmmakers like Christopher Nolan will agree that Marion Cotillard is one of the greatest actresses of our times, in addition to being a beautiful, sensual woman. Cotillard has played a wide variety of roles, from her Oscar winning performance in La Vie En Rose to the surprise villain in this year's global box office hit The Dark Knight Rises. And for her work, the Telluride festival honoured her with a special tribute. As part of the tribute the festival programmers showed us Cotillard's new film Rust and Bones in which the actress delivers a riveting performance. Directed by Jacques Audiard (A Prophet), Rust and Bone is a story of an unlikely friendship and then relationship between a woman who loses her lower limbs in an accident (Cotillard) and an unemployed, working class single father (the mesmerizing Belgian actor Matthias Schoenaerts). Under Audiard's brilliant direction, the two fine actors play flawed human beings, with life's options stacked up against them, but through plenty of struggle they manage to set things right. In the last 20 plus years, Harvey and Bob Weinstein have redefined the rules of film distribution, taking the most unlikely art-house or foreign films out to large audiences around the world and in the process winning many awards, including very often, the most coveted Oscar. With The Sapphires, the brothers and their The Weinstein Company have yet another winner. Telluride was just the start, but The Sapphires -- a unique tale of four charming aboriginal girls and talented singers (three sisters and their cousin) and their white manager -- has all the elements of being a huge box office hit. In The Sapphires, first time Australian director Wayne Blair examines Australia's recent racist past, where people of colour hardly had any options to work within the mainstream white society. Blair's narrative of the journey of the four girls from Australia's hinterlands to Vietnam as they perform soul music for the American GI's is based on a true story. Although a tad bit predictable The Sapphires is hugely entertaining, and a pure joy to watch, given that most other films at Telluride were bleak and sad. In this rare Saudi Arabian film -- the first to be shot in the conservative Islamic country and directed by a woman, Haifaa Al Mansour -- all is not well in the world of the protagonist, a spunky young girl named Wadjda. Her father is set to marry a second woman, while her teachers and especially the principal are always picking on her for not being conservative enough. But Wadjda wants to be free like the boys in her neighborhood, especially her close friend Abdullah. Most importantly, she wants to own a bicycle and race with Abdullah. Al Mansour takes us into the daily lives of Saudi women, who struggle against legal, religious and the society's written and unwritten rules -- all stacked up against them. Wadjda's spirit, and her resourcefulness (she manages to win a Koran recital contest in school in order to get money for the bicycle) gives a unique charm to the film. Wadjda should be a big success in festivals and art-house theaters in the west. But the big question is whether people in Saudi Arabia will get to see the film, considering there are no movie theaters in that country and films are shunned by authorities.